We have worked with the Microsoft .NET framework from the release of the first version 1.0 up to the latest release. We are equally comfortable programming in C# and VB.NET, although (at the risk of annoying our VB friends) we are somewhat biased towards C# as a more... elegant language. 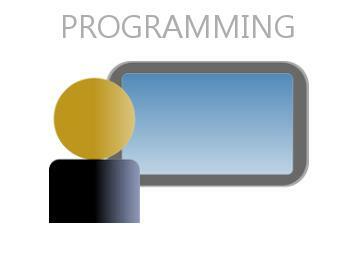 Our skill set includes the full stack of Microsoft development products including all versions of Visual Studio. 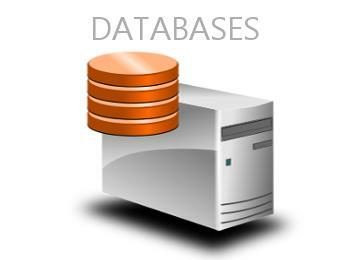 Our database platform of choice is Microsoft SQL Server. We can also help with MySql, Microsoft Access, and other proprietary formats. Mediasolve can help you build, fix, optimize and manage your data projects. Relationships between business owners and developers can sour. This can lead to the business owner being left with a half completed project or application. Whatever the reason, if your developers have left you high and dry, we can pick up your project and get it back on track. Give us a call any time to discuss your project. We will be happy to work with your artists and stylists to add the functionality you need for your website. The ever growing popularity of tablets and smart phones presents website owners with a dilemma. How to keep their websites view-able and relevant on the growing number of platforms? Maintaining multiple versions of a website can be time consuming and error prone. Fortunately there is a solution which enables a website to adapt itself to whatever device the visitor is using. This technique is called Responsive Website Design (RWD). 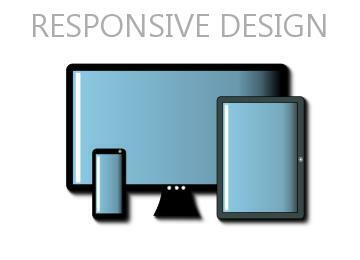 Responsive websites use media queries to recognize the type of device being used (desktop? laptop? tablet? smartphone?) and serve the most relevant rendering of your content. This has the advantage of enhancing your visitor experience without the need to maintain multiple versions of your website. Responsive website design represents a fundamental shift in how we envisage website design and development. If your website builders are not taking responsive design into account...it's time to think about a new technology partner. The websites we build for our clients fully embrace responsive design. 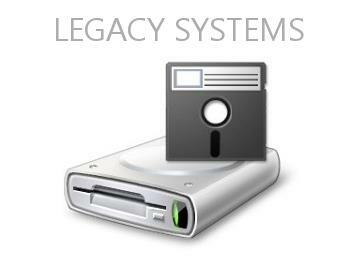 If your legacy system is ready to be retired we can help extract and archive your information. We have a wide range of experience in porting legacy data to a relational database format such as Microsoft SQL Server and web enabling the results if required. If your legacy code needs modifying we can help. We are ready to handle any project from minor code changes to large scale enterprises such as system conversions. Legacy applications based on VB6 and ActiveX controls are becoming increasingly difficult to maintain and enhance. If you have a VB6 legacy application we can help you convert it to the .NET framework, or even web enable the functionality. 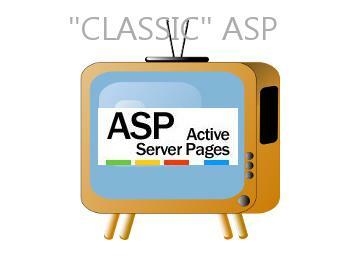 Before the advent of Microsoft .NET much of our website application programming was coded in Active Server Pages, now commonly known as "Classic ASP". We also programmed in Perl and know our way around Access desktop applications. If you have a legacy website which you need to upgrade to .NET, or make modifications to the existing code, we can help! Our first Microsoft-centric web applications were created back in the late 90's using Active Server Pages, what is now known as "Classic" ASP. Databases were expensive so we did a lot of work with websites using Microsoft Access as the back end database. If you have a Classic ASP legacy website, or web application, which needs attention, or you want to upgrade to ASP.NET, we can help. Database Microsoft SQL Server, MySql, MS Access. Mainframe / ERP Ross iRenaissance and Classic products. DEC Alpha/VAX VMS, Oracle Rdb, COBOL, Basic, C, Fortran. We are software developers specializing in database driven website applications using the Microsoft .NET framework. Our database platform of choice is Microsoft SQL Server. I guess you could say we like Microsoft products. Our company consists of a team of two programmers and one designer who can work together as a unit on larger projects or on an individual basis. There is no minimum and initial consultations are always free of charge with no obligation. We are motivated programmers with a passion for writing excellent, maintainable code and we embrace the concept of personal investment in fulfilling our customers requirements with websites we can be proud of too! Do you need a password protected area on your website? A searchable knowledge base? A forum? Online calendar or appointment system? Application and database reporting? We can help. We can build out any type of online tool or application that you need integrated into your website or company Intranet. We will assist you through each phase of your project from concept to programming to user interface design. Our expertise combines business strategy with web expertise that allows us to provide you the tools to help you stand apart from your competition. We needed a Content Management System (CMS) with which we could control and maintain multiple websites from one set of administration tools. We couldn't find one which fit our requirements, so we wrote our own. The web page you are looking at, along with the rest of our website, is generated from the contents of a database. The content is controlled via our administrator's dashboard. As well as hosting our own websites we also offer our Fully Managed Website service. All you need is a domain name and we'll do the rest. All you have to do is email us any new content, images, youtube videos, etc., that you want us to add to your site. If you are a member of affiliate organizations, such as Clickbank, Shareasale, or Ebay Partner Network, we can set up your site to show feeds of relevant products from those sources. Our Fully Managed Websites leave you free to concentrate on marketing and monetizing your product feeds. By using this website you understand that mediasolve.com is in no way related to any of the third party advertisers who offer products and services on our web pages. Any information on mediasolve.com is a matter of opinion and should not be construed as fact. Additionally, you understand that mediasolve.com is not an online store and we do not sell any products or services directly on our site. We just provide links to products and services on other web sites as a convenience to our visitors. Any purchases made via a link on mediasolve.com are between you (the buyer) and the third party (seller). In no way is mediasolve.com part of any purchase or sale made in resulting of use of this website. Please read all item descriptions and seller feedback carefully before bidding. Buy at your own risk. You are entirely responsible for any submitted content. If you submit a website to be included in our mediasolve.com Directory, or an article to appear on mediasolve.com, you understand that mediasolve.com reserves the right to remove your submission at any time at our discretion, or make changes to your submitted content as we see fit. No content that we feel is inappropriate to mediasolve.com will be permitted. Media content: we make every reasonable attempt to make sure that all images and media displayed on mediasolve.com are creatives owned by mediasolve.com or are public domain and free of any copyright restrictions. If media content whose copyright is owned by you inadvertently appears on mediasolve.com you agree to inform mediasolve.com immediately and the content in question will be removed from mediasolve.com as soon as is reasonably possible. By visiting mediasolve.com you agree not to hold mediasolve.com, or its owners, liable for any alleged copyright infringement, furthermore you agree to pay mediasolve.com any costs incurred by mediasolve.com, or its owners, for any legal proceedings invoked by you regarding any perceived or alleged copyright infringement regarding media content posted on mediasolve.com. The privacy of our visitors to mediasolve.com is important to us. At mediasolve.com, we recognize that privacy of your personal information is important. Here is information on what types of personal information we receive and collect when you use visit mediasolve.com, and how we safeguard your information. We never sell your personal information to third parties. As with most other websites, we collect and use the data contained in log files. The information in the log files include your IP (internet protocol) address, your ISP (internet service provider, for example AOL or Comcast Cable), the browser you used to visit our site (such as Internet Explorer or Firefox), the time you visited our site and which pages you visited throughout our site. We also use third party advertisements on mediasolve.com to support our site. Some of these advertisers may use technology such as cookies and web beacons when they advertise on our site, which will also send these advertisers (such as Google through the Google AdSense program) information including your IP address, your ISP , the browser you used to visit our site, and in some cases, whether you have Flash installed. This is generally used for geotargeting purposes (showing New York real estate ads to someone in New York, for example) or showing certain ads based on specific sites visited (such as showing cooking ads to someone who frequents cooking sites). This website is provided “as is” without any representations or warranties, express or implied. mediasolve.com makes no representations or warranties in relation to this website or the information and materials provided on this website. 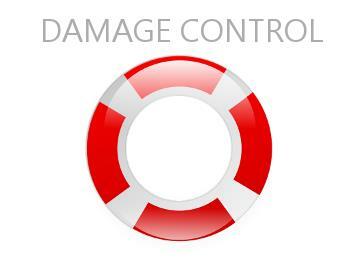 These limitations of liability apply even if mediasolve.com has been expressly advised of the potential loss. matter which it would be illegal or unlawful for mediasolve.com to exclude or limit, or to attempt or purport to exclude or limit, its liability. [Without prejudice to the foregoing paragraph,] you agree that the limitations of warranties and liability set out in this website disclaimer will protect mediasolve.com officers, employees, agents, subsidiaries, successors, assigns and sub-contractors as well as mediasolve.com. Copyright © mediasolve.com All rights reserved.